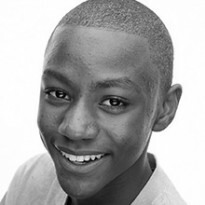 Carl’s theatre credits include The Scottsboro Boys (The Young Vic), Into The Woods (Lost Theatre) and Dear Edwina (Lost Theatre). Whilst training, credits include Annie (Act Now), Jesus Christ Superstar (Act Now), Hairspray (Songtime), High School Musical (Songtime), Anything Goes (Songtime), Beauty & The Beast (Songtime) and Billy Elliot (Songtime). Film and television includes Don’t Stop Believing (Shine TV/ Channel 5/ Maidstone Studios), The Dark Knight (Christopher Nolan), Youngers (E4).